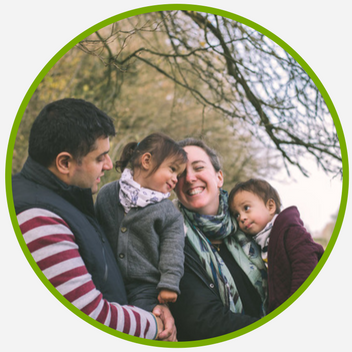 First of all thanks to my friend Glasgow_Mummy for this fabulous finds blog post about blogging resources! 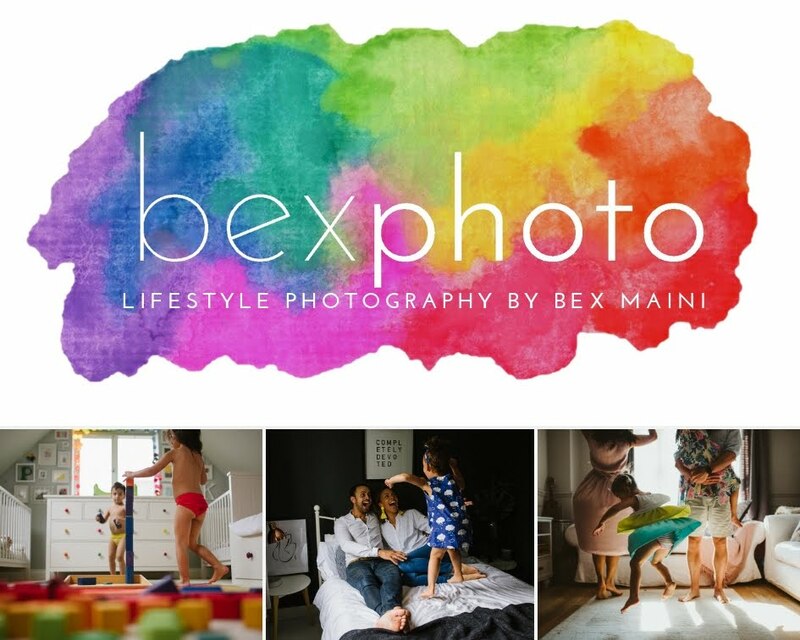 I downloaded the free template from here and have found them invaluable and think they make my posts look much neater! Thanks Sarah! 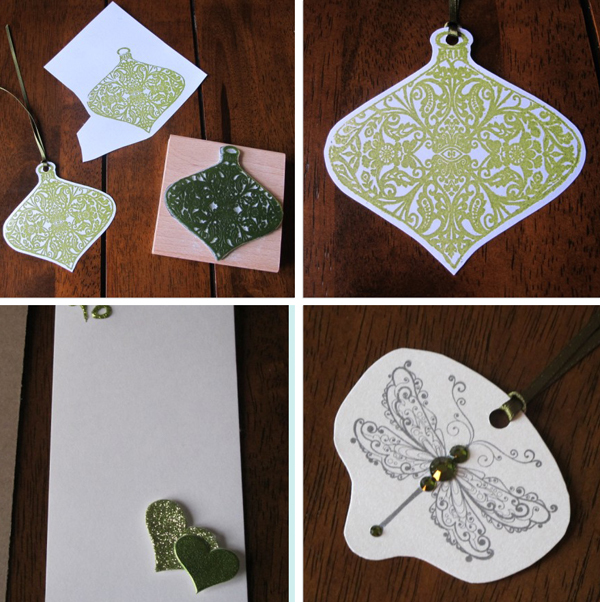 So, this year I decided I wanted to make my own gift tags after I spotted this damask bauble stamp on NotOnTheHighStreet.com and fell in love with it! 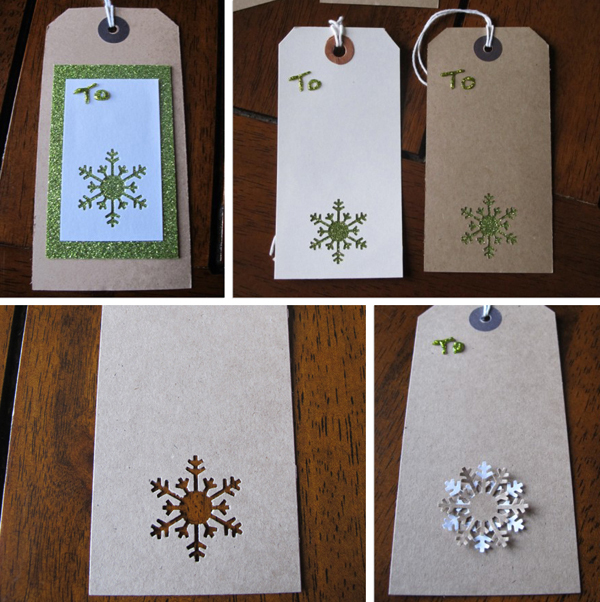 I also bought a couple of Snowflake punches on ebay and Imagine Doing It Yourself to do a few different styles. I always wrap my presents in brown paper so wanted a bit of colour and sparkle in the tags while sticking to the brown paper theme. The theme for our tree this year is green, white and silver and I also have some green curling ribbons and raffia to tie the presents up with. 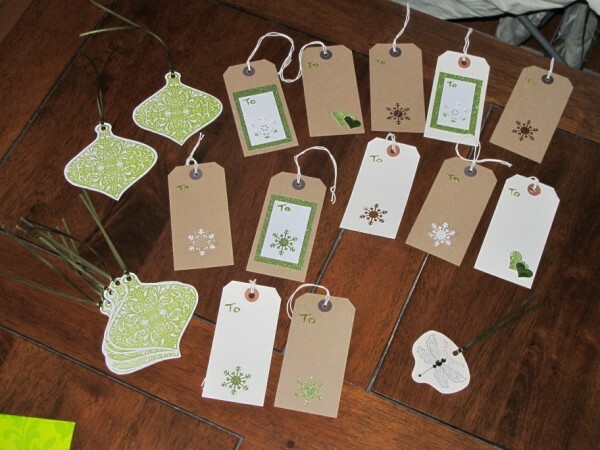 Making the tags was really simple and fun so I thought I would share how I did it! 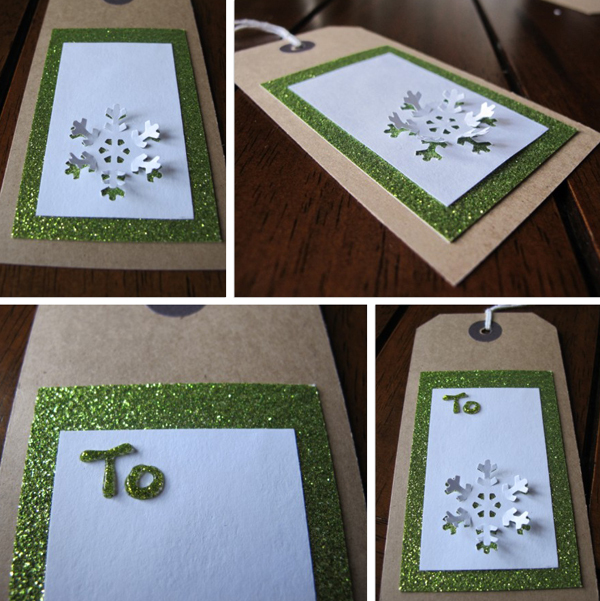 Glitter Card - Best Creation in Olive Green - Hobbycraft, £2.99 per sheet (cheaper in America and there are loads of colours but postage costs not so good) I LOVE this card as it's super glittery but doesn't make a mess as the glitter doesn't come off, even when you cut it! Scissors, Ruler, Glue, Hole Punch. 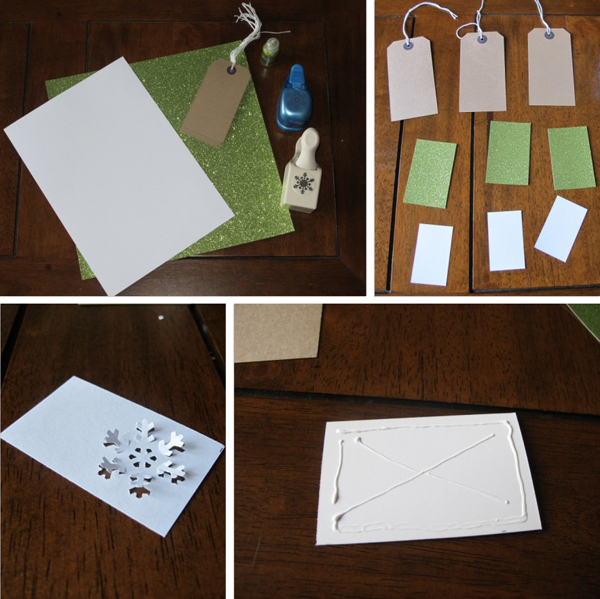 Cut the pieces of card to size, punch snowflake on white card and glue onto glitter card so the green shows through. Glue both onto luggage tag. A few more variations using the other punch - I found the glitter card too hard to punch through so stuck some behind the luggage tags which were punched out (top right). Also leaving the punch out area open was quite effective. I also used the punched out shapes to stick on in different combinations. I used the green tea ink pad on the stamp onto the white card. I also used some heart stickers in the bottom corner for a more simple tag. I will post pictures of my wrapping when they're all finished! Thanks for the mention. Love the Christmas bauble and the snowflake punch.